Let the good times roll baby! 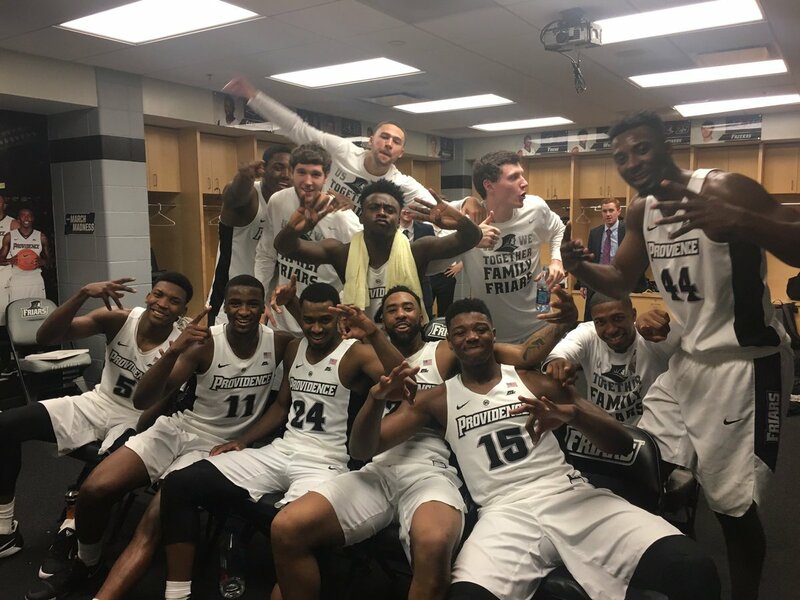 Make it 4 wins and a row against NCAA caliber teams and the Friars have just put themselves in a position to win out and secure a bid to the Big Dance. With 7:20 left in the game, the Friars faced a 12-point deficit at home. The Friars then when on a 14-1 run to take the lead and finished off the visiting Golden Eagles in a thriller at The Dunk. Rodney Bullock & Kyron Cartwright once again led the way for Providence and Bullock connected on a game-winning layup with 43 seconds left to give the Friars a lead that they would not relinquish. For some reason (again), Wojo went to Katin Reinhardt for the end of the game shot. 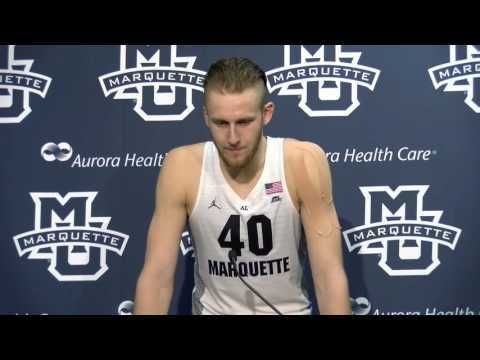 I don’t know if that guy is great at buzzer beating shots in practice or something, but he gets every opportunity for Marquette when the game is on the line…this time, the line wasn’t a friend and he stepped out of bounds on the long inbounds pass for a game-winning attempt. The Rodney of old was back! Bullock crushed it on offense going 7-13 from the floor for a team-high 20 points for the Friars. Bullock also grabbed a team-high 10 rebounds, recording his 5th double-double on the year, and 3rd one in a row. 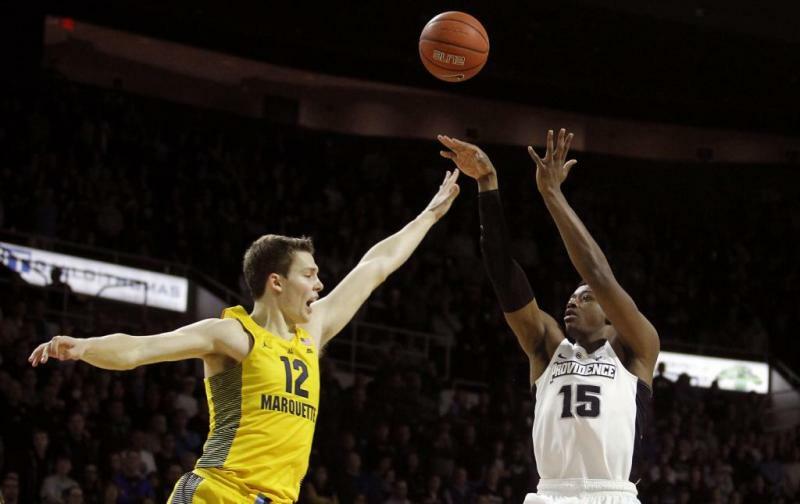 Bullock is rediscovering his elite offensive game at the perfect time for the Friars. 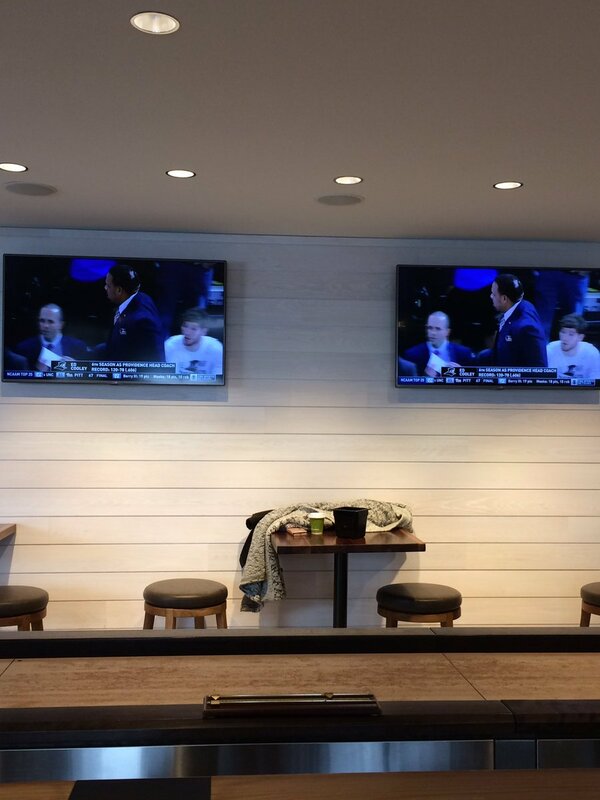 It’s no coincidence that the Friars are peaking as a team as Bullock turns up his offensive output. Here was my view for the game, so I wasn’t able to get any good videos from this one. You know I love me some Bullock War Cries, so this one hurt when I wasn’t able to get the full audio effect. Kyron dished out 8 assists for the 12th time this season. Cartwright also finished with 16 points on 6-11 shooting. Isaiah Jackson scored in double-figures off the bench for the 3rd game in a row. Jackson was 3-6 from the floor and a perfect 4-4 from the line. Jalen Lindsey continued his excellent marksmanship, connecting on multiple three point field goals for the 9th time in the last 10 games, going 2-6 in this contest. Lindsey was 4-8 from the floor for 10 points and had 3 swipes in the game. Kalif Young only played 7 minutes but was able to make the most of it scoring 4 points, grabbing 4 boards, blocking a shot and grabbing a steal. Alpha Diallo continued his using his length and grabbed 8 rebounds after taking down a career-high 9 just last game. Keep up that ferocity on the boards my man. It might go under the radar, but Emmitt Holt played really well in this game. He scored 8 points, had 7 rebounds, and played some great (and much needed) defense against the big guys of Marquette. 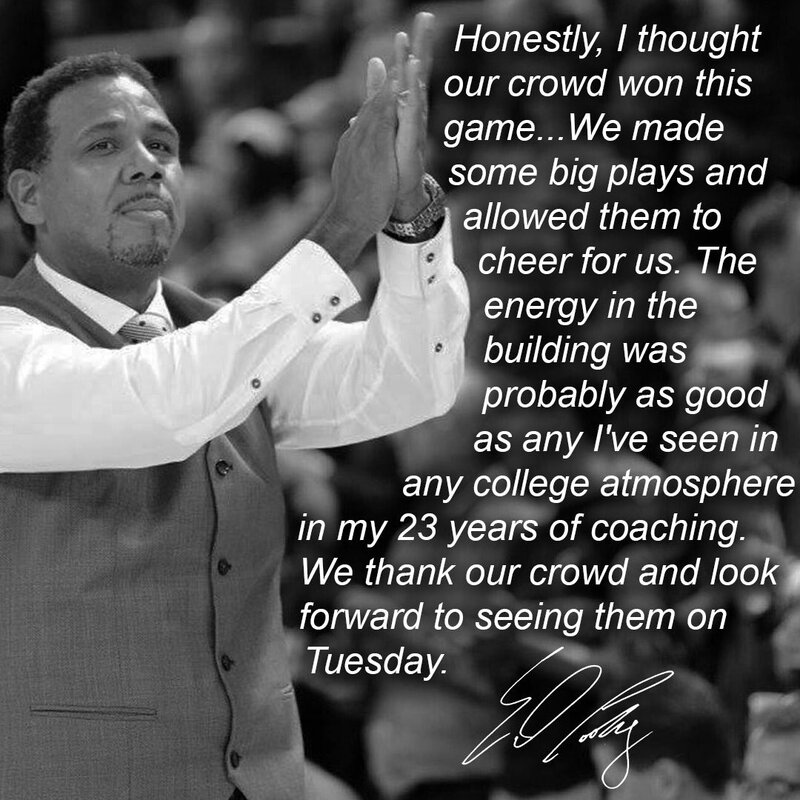 The Friars truly had contributions from everyone who played during this game. Hey Markus Howard, stop making all those threes dude. Howard is currently leading the Nation in 3-point percentage this year and that certainly showed in going 6-8 from deep. Howard played the best game I’ve seen him in all year long, going 8-13 from the floor for a game-high 24 points. In all honesty, I’ll take Kyron Cartwright’s game over Markus Howard’s. Cartwright had 8 less points than Howard but had 8 assists to Howard’s 0. Also, Howard turned the ball over 5 times. I’m not sure, but I think an assist to turnover ration of 0:5 isn’t ideal from your point guard. In all honesty, I think Howard is much more of a 2-guard than he is a point guard. He barely averages more than 2 assists per game. 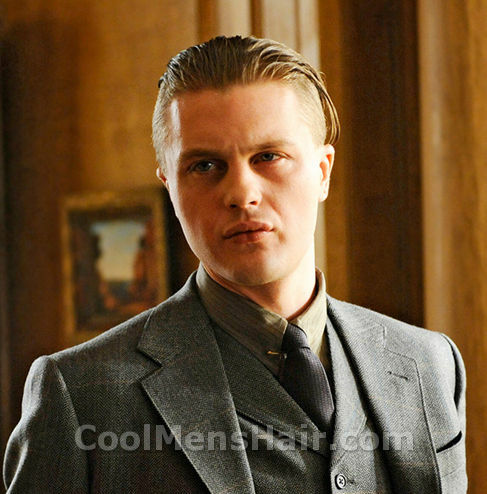 Luke Fischer, your haircut looks like Jimmy Darmody. Providence did a really good job of not jumping at any pump fakes this time around, so kudos there. What the heck happened to Haanif Cheatham?? I thought he was going to be a terror for the Friars for 4 years and he looked completely lost out there. Post game celebration photo…favorite person is Maliek, hands down.